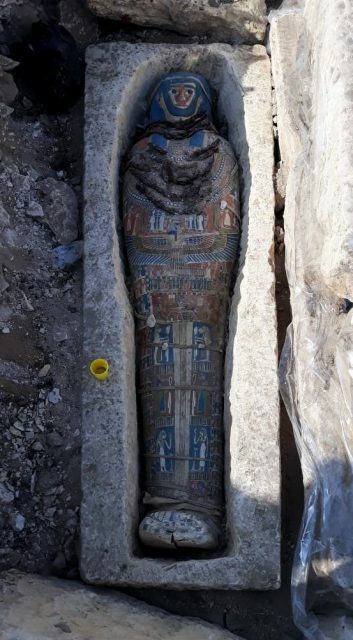 Archaeologists have unearthed eight new limestone sarcophagi containing mummies at a site that is 25 miles south of Cairo. Egypt’s Antiquities Ministry said the mummies were dated to the Late Period (664-332 BC) and have an outer layer of cartonnage — papyrus or linen that’s covered in plaster — decorated with a painted human form. Three of the mummies are well-preserved, the Ministry stated. Images show the sarcophagus painted with deep ochre and blue. Dr. Mostafa Waziri, Secretary-General of the Supreme Council of Antiquities, explains that the mission began its excavation work in August and found the burials with eight limestone sarcophagi with mummies inside. 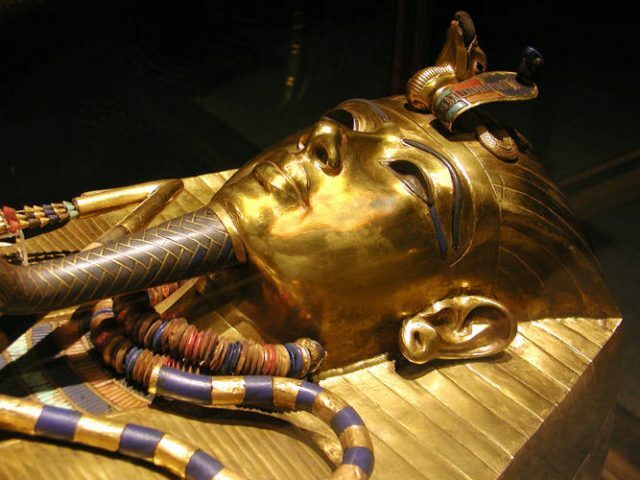 What is interesting is that the eight mummies were found in the same pyramid as King Amenhotep II. At more than 2,000 years old, the mummies are from ancient Egypt’s Late Period. The Egyptian official said that the sarcophagi and the mummies are stored in Dahshur’s storehouse for conservation. 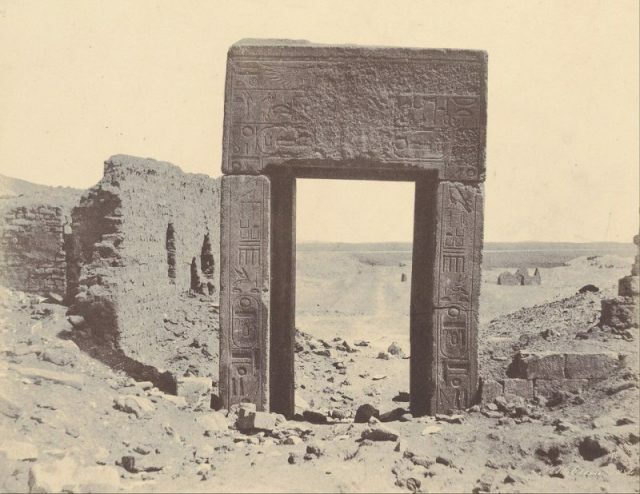 Photographs of the discoveries will be exhibited within the collection of the newly established museums by the Ministry of Antiquities in Hurghada and Sharm El-Shekh scheduled to be open soon. The site is home to the Bent Pyramid and the Red Pyramid, which were built under the rule of King Sneferu. Sneferu’s Bent Pyramid — an evolution from earlier step pyramids — was built with smooth edges. The sloping top section walls were built at a different angle to the base because of a miscalculation, researchers speculate. The second Sneferu-era pyramid, the North Pyramid (also known as the Red Pyramid), was more successful in its design. 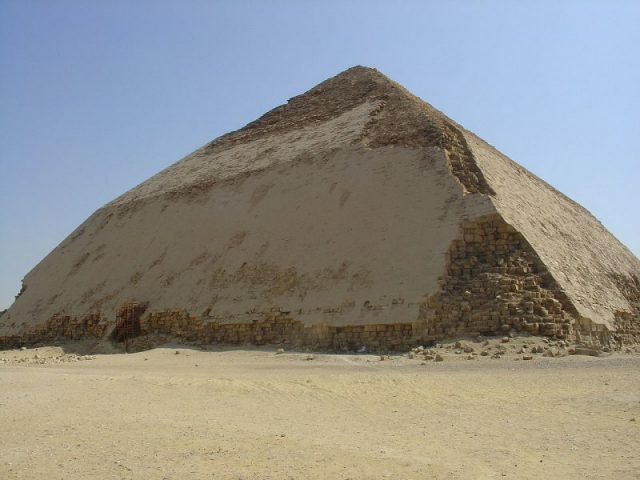 The first true pyramid of ancient Egypt, it was built during the time of the Old Kingdom (2575 BC to 2130 BC). The discovery of the eight mummies comes shortly after an earlier discovery by archaeologists of a sarcophagus holding the mummy of a woman who lived during the 18th Dynasty. 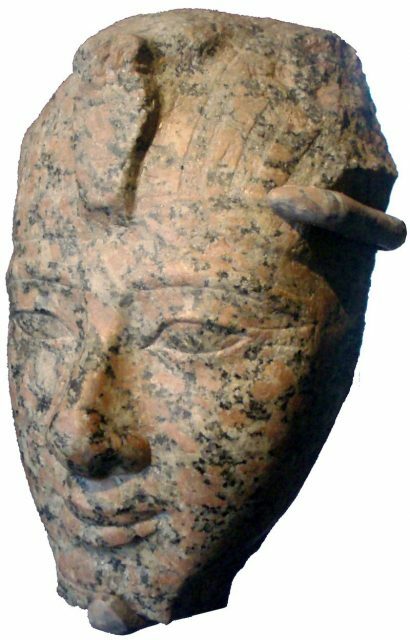 The 18th Dynasty dates back to the 13th century BC, a period noted for some of the most well known Pharaohs, including Tutankhamen and Ramses II. Mask on Tutankhamun’s innermost coffin. Only days before the discovery of the eight mummies, the perfectly-preserved mummy of a woman was unveiled from inside a coffin in Egypt dating back more than 3,000 years. The sarcophagus was opened on November 24th, one of two coffins discovered in El-Assasif, Luxor, on the bank of the Nile. El Assasif, Porte de Granit Rose. Located between the royal tombs at the Valley of the Queens and the Valley of the Kings, El-Assasif is a necropolis that is the burial site of nobles and senior officials in the court of the pharaohs. 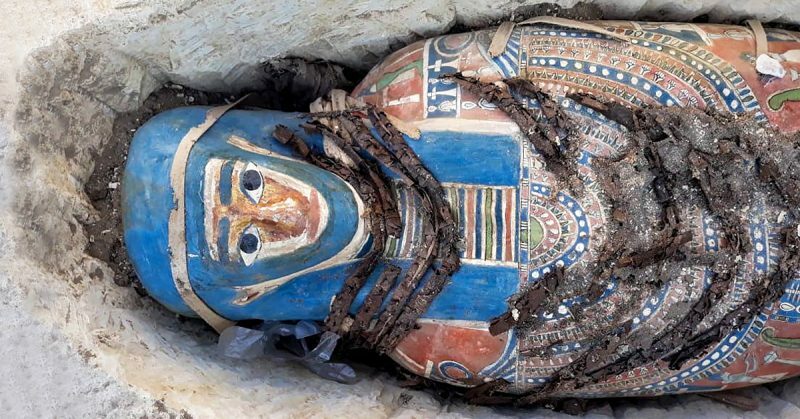 Along with the mummified woman, the team also found five colored masks and more than 1,000 Ushabti statues, which are miniature figurines of servants believed to help serve the dead in the afterlife. The deceased woman was named Pouyou or Pouya, officials said in a statement, adding that “only the tip[s]” of the mummy’s feet are missing. It was the first known time that authorities had opened a previously unopened sarcophagus before international media, according to Reuters. The woman’s remains were found in Tomb TT33 — as archaeologists call one of the findings in Luxor (called Thebes in ancient times) — which is being excavated by a French team led by Frédéric Colin, an Egyptology professor at the University of Strasbourg in France. The tomb has been excavated several times since the 19th century, revealing many artifacts. Even so, the tomb is so vast that parts of it are still unexcavated. Egypt has been promoting its archaeological discoveries in an effort to entice visitors to the country and bolster its tourism industry, which faltered in the aftermath of the 2011 uprising that overthrew former president Hosni Mubarak.